When I moved to Brooklyn in 2009, Newtown Creek was this great mystery lurking to the north separating my neighborhood of Greenpoint from Long Island City in Queens. I knew it was considered one of the most polluted waterways in the nation, but there was a lot that I didn’t know because the creek is hidden from view and walled off on all sides by industry. After a year of digging I found layers of history embedded in the banks of the creek, dating back to the dawn of industry in the United States. 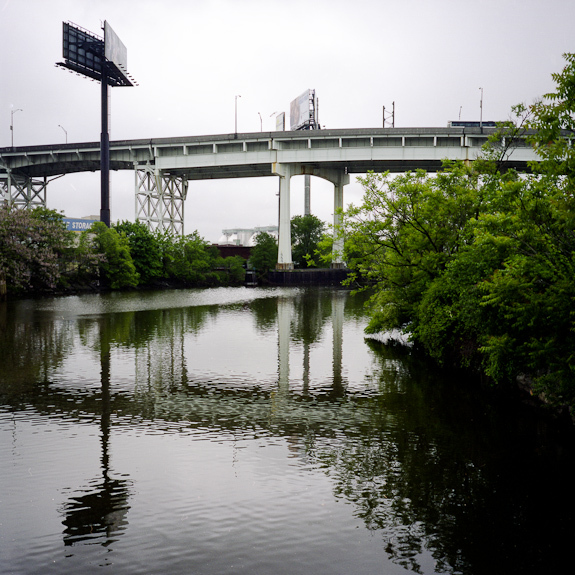 Today on the surface one sees a wasteland stripped bare by generations of degradation, but the areas adjacent to Newtown Creek still serve as an important role in New York — at once a part of the city yet a world apart.